The Place It is quite difficult to find authentic Scandinavian sandwich in Singapore, famous for its open sandwich concept. Opened just few months back, Smør, which means butter in Norwegian and Danish, is a casual Scandinavian eatery at the newly revamped One Raffles Place. 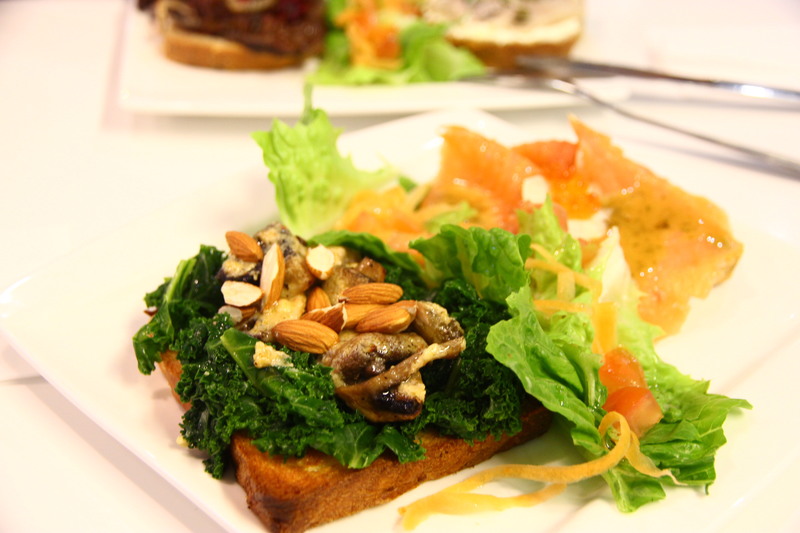 It specialises in Scandinavian sandwiches and prides itself in using organic ingredients. The seating capacity at Smør is quite limited though, mainly catering to the takeaway lunch crowd. The Food Available for breakfast, lunch and dinner, choose from a Light meal that consists of one open-faced sandwich at $6.90, a Regular meal at $12.90 for two sandwiches, or a Viking meal at $17.90 for three sandwiches, all served with a generous side of salad. There are two main types of sandwiches available at Smør, cold and hot. We tried a combination of the cold and hot sandwiches, such as the Smoked Norwegian Salmon, Norwegian Herrings, the Swedish Herb-Roasted Sirloin and the Mushroom and Kale Sandwich. The Smoked Norwegian Salmon was served with horseradish, dill and parsley , topped with salmon roe and drizzled with dill – infused sweet mustard. We like the freshness of the salmon as well as the toppings and sauce. The Mushroom and Kale has got to be one of our favourites, which surprisingly has a tinge of spiciness to suit the Singaporean palate. The freshly baked bread was so crispy that it was so addictive for us to have another bite. For beef lovers, we would recommend trying the Swedish Herb-Roasted Sirloin was layered with caramelised and cheesy onion with a mountain of beetroots. The latest on the menu was the Norwegian Herrings, which we were glad we tried upon the friendly owner’s recommendation. Even though it was a cold sandwich, the fish was so fresh that it was not as bland as we imagined initially. Definitely a healthy choice for the calories conscious folks. Rants The portions might be small for bigger eaters, so we reckoned it would be minimally two sandwiches to feel sufficient for a meal. Will I return again? For a healthy quick grub in the Raffles Place CBD vicinity, we would recommend Smør if you feel like having a healthy yet savoury meal.